Now that I hooked you in with my snappy title, here is another version, “How to Increase the Odds of Raising a Child that will Enjoy Reading”. Because, as parents, all we can really do is bend the odds. I love to read, my husband loves to read, and we have two girls who also love to read. It is nature or nurture? Both, and it's in the nurture component that we have wiggle room. For example, I'm not a foodie, and I have two of the pickiest eaters ever to shun all things green; so I solicit advice from my foodie friends and, by golly, it is gold! Also, when we eat with them, my kids who are always "so full", suddenly have hollow legs! If you have recently embarked on your parenting journey, or if you have kids who treat books like mine treat broccoli, this is for you. If you already have a house full of book lovers, please share your secrets in the comments section. I would love to hear from you! Kids, especially toddlers, react to emotion. When a character in the book shouts, make sure you're shouting too. “WHERE DID YOU GET THAT COOKIE! !” If monsters are roaring their terrible roars, give up your most terrible roar, ham up the terrible teeth gnashing and pause while your child roars and gnashes too. Some books ask the reader to do something, then the characters respond on the following page. A couple popular examples are Monster at the End of this Book, and Don't let the Pigeon Drive the Bus! Dora the Explorer and Diego books are also intentionally interactive. Adapting a book to make it interactive is a great way to read it the thousandth time and not be completely disengaged. When we read Mess Monsters, we roar, crash, stomp, clobber the pictures on the pages right along with the monsters. When the monsters “bang down their tails”, we hammer on the ground with our fists, when “the whole bedroom shakes”, I make sure to do my best lap-quake. Keep reading to kids who are old enough to read by themselves. Although by now the you can spread the cheese a little thinner, kids still absorb the way you use inflection and voices, helping them to speed through that robotic monotone most kids adopt when they first start reading out loud. Also, they will often follow along while you read, (especially if you run your finger under the line you're reading) rapidly building their vocabulary as they hear you pronounce words they've not yet experienced in written form. This takes a surprising amount of patience because there are a lot of “don'ts” here. Letting kids read to you visibly boosts their confidence and helps them practice the aforementioned inflections and fluency. 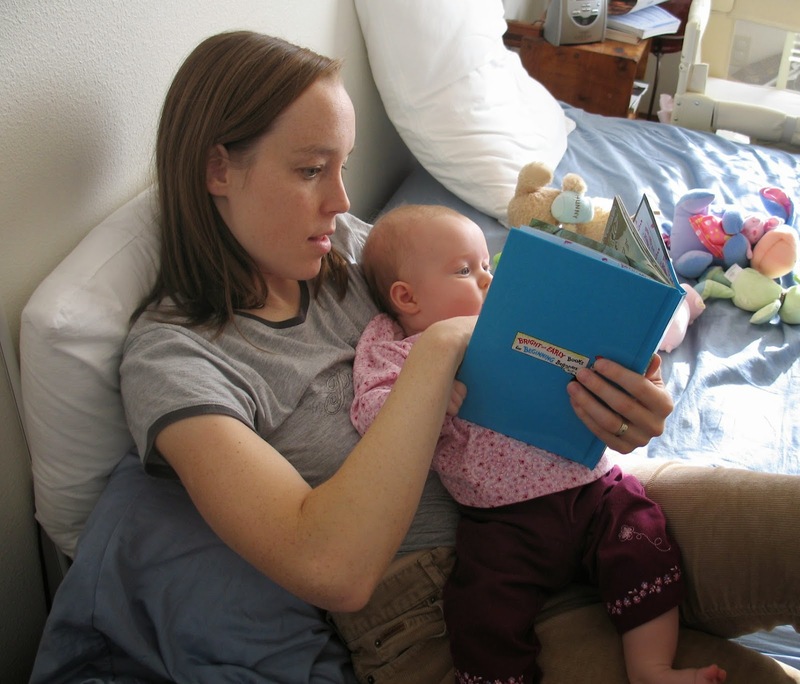 Reading quietly and aloud are two distinct skills; a child can be a voracious quiet reader and be terrible at reading aloud. (This was me.) Yet, reading aloud is one way teachers judge their abilities. If you have younger sibling, they can often be coaxed into reading with the older ones, provided your older child chooses the younger's favorites. Don't give straight answers. When he asks what a word is help him sound it out, kind of playing it like you're not sure yourself. If he doesn't know what a word means, help him look at the context to try to figure it out. However, if he's getting flustered, do the work and narrate what you're are doing, slide your finger under the tough word, e.g. maneuvering, and say “man-nuuu-verr-ing, maneuvering”. Whatever process you articulate they'll be likely to adopt. Don't get impatient. Reading aloud is taxing and takes all his focus, if you're checking your watch, squirming, or sighing, it's going to make him lose focus and doubt himself. Be fully present or suggest another time when you can be relaxed. Be attentive. Can't stress this enough. Give non-verbal feedback. A pat on the leg or shoulder when he's worked through a tough sentence can be very encouraging. Gasp, or ooh and awe at appropriate moments to show you are listening. Ask questions about what he liked about the story and discuss the plot and surprises. Having a conversation about the book afterward will enhance his comprehension about what he read, and show that you were paying attention and enjoyed the time you shared. Hi, Charley here. Amy puts Berzo to bed an hour before Boots' bedtime. It is my job to keep Boots quiet; she's also required to read for fifteen minutes every day for school. 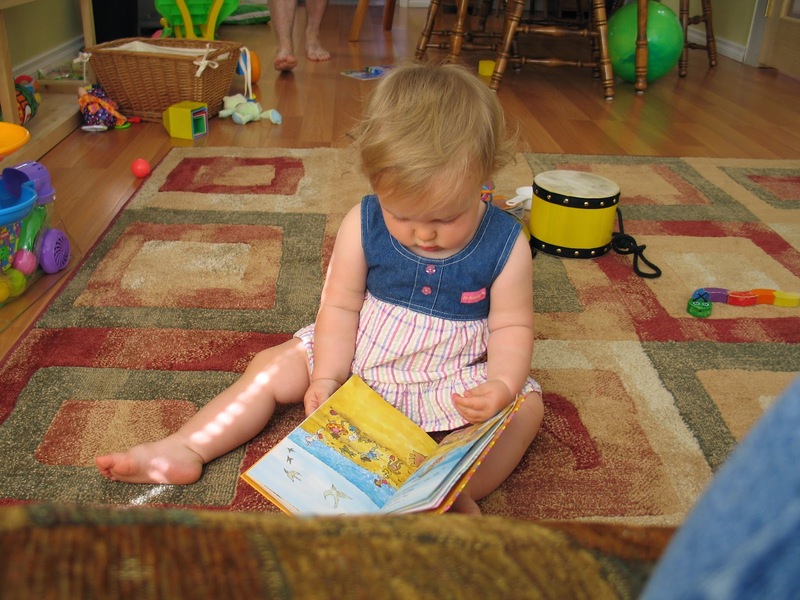 We knew if we tasked Boots with reading fifteen minutes every day, she'd balk. It's just who she is. We hid the Reading Log and I started inviting Boots to read with me. If she refused, we'd play cards or watch a show together. I didn't make it a big deal. She was reluctant to read out loud at first. So we made a deal, that she would read the first paragraph of each chapter then I'd finish the chapter. While she was reading, I'd only help her if she was really struggling with a word. Pretty soon she just keep going. I was amazed at how quickly she got better. As for her teacher's log sheet, I included all the time we spent reading together—not just when she read. If Boots didn't want to read, I'd put down a zero for the day; confident that we were doing the right thing by not pressuring her. As it turns out, it was the right thing to do. (For once!!) She will now read for an hour or more on days when the mood strikes her. At bedtime I sometimes get exasperated hearing, “Just let me finish this page.” Then she turns it and I see her eyes sliding across the lines on the next page. I still put a zero on her reading log sheet on days she doesn't crack a book, but the feedback I hear from her teacher has only been praise for how well she's progressing and how much she (her teacher) appreciates her enthusiasm during reading time. Also, I no longer hide the log sheet from Boots. I'm also selectively vocal about writing down her times, "Wow, so that's a total of forty-five minutes for today. I'm going to write that down on your log sheet." She likes that I notice her efforts in this way and knowing that her teacher will see it too. If your kids are tweens or teens and don't like reading it's likely they simply have yet to find a genre that speaks to them. I remember not reading much between the ages of about eleven and fifteen. I was too old for my Nancy Drew books and the drippy, sticky books targeted at my demographic were utterly unappealing to my tomboy nature. (Yes, I mean you, Sweet Valley High series.) My reading comprehension and vocabulary weren't great, so deeper more intriguing novels were out; then I on a whim I picked up The Shining. That was it, I was done. I read little else than Stephen King novels for the next few years. My standardized reading test scores skyrocketed. Although, I haven't read any of his stuff in a decade or so, I haven't been without a book-in-progress since. Encourage your kids to try out different authors, genres, or non-fiction books that follows an interest; whatever their interests are, there's a book for that. Reading isn't slimy canned spinach. If we shove it at them, we're sending the message that this spoonful of goo is disgusting, but we should eat it anyway because it's good for us. If you treat reading like, well… a treat, it'll be much more appealing. Books make great rewards. If your kid has accomplished something you want to celebrate, invite him along for a trip to the bookstore and give him license to pick out a book of any kind. Read the same book in tandem—occasionally. To score extra parenting points, lag behind her progress and ask her questions about what's going to happen. Make sure to criticize things you didn't like. “I thought it was lame how long it took for the dragon to hatch. I mean for half the book he's carrying around an egg!” She might surprise you with some insight as to why it was important that the story went that way. “Geez mom, if the dragon hatched right away…” Or she might say, “Yeah, that really bugged me too.” I find being critical of plot points gets them engaged. (Weird, I know.) Then we talk about other aspects of the book as well. Make going to the library routine. Start a routine of going to the library every other week. Let her choose whatever she's interested in, even if she only gets DVDs and video games. Books have a way of enticing people all on their own. Try to be flexible and let her take as many items home as she wants, or if your child needs limits, like my oldest, make it as much as she can carry in a tote bag. Then stop off at a cafe and share a treat on the way home. Select a time that will allow you to be relaxed and unhurried, and you both might start looking forward to this excursion every other week. Establish a quiet time where reading is one of the choices. Maybe for a half hour after lunch, (on weekends for older kids) or just before bedtime. You probably need the downtime too, and when it's routine, you don't won't feel as guilty about neglecting housework or other demands. It might be difficult at first, but before long you and your kids might start looking forward to spending that time together. Give them a little special recognition when they finish a book. If the only applause they receive is when they get a hit on the ball field, that's probably where they'll set their focus. As one of my favorite parenting gurus, Becky Bailey, says, "What you pay attention to, you'll get more of." Exaggerate sounds and point to letters. When reading alphabet books, instead of reading “A is for apple.” Put your finger below the A and say, “A, ahhhh. A is for ahhhhhp-ple.” Then pause to let them try to repeat it. Even if they're not talking yet. Then be sure to pretend to eat the apple and bite into a slimy worm, which you then spit out in a very dramatic fashion. Got tips? Got book recommendations?? Please feel free to share in the comments section. I would love to hear back. Berzo in her stuffed animal/reading basket.